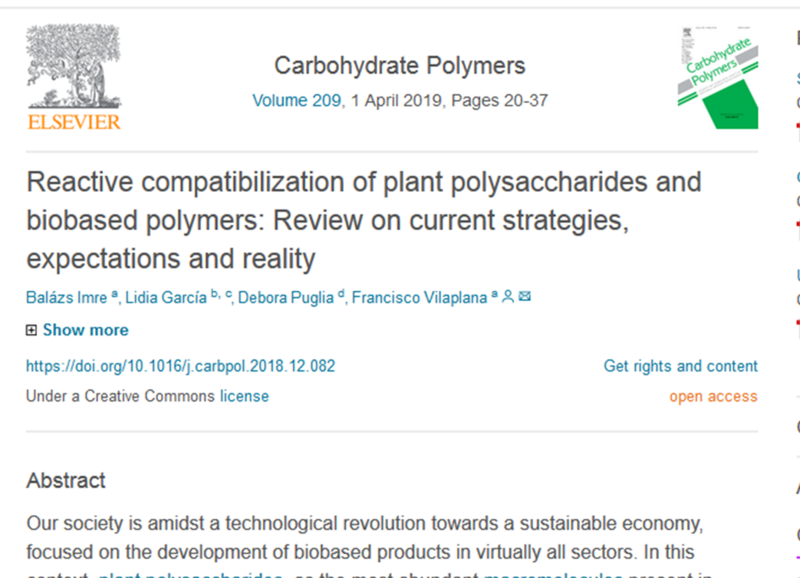 As the project progresses, members from KTH and TECNO packaging have recently published a review on the prestigious journal "Carbohydrate Polymers", dealing with the compatibilization of polysaccharides and bio based polymers. This review critically explores the current status and the future outlook of reactive compatibilization strategies of the most common plant polysaccharides in blends with bio-based polymers. The chemical processes for the modification and compatibilization of starch and lignocellulosic based materials is discussed, together with the practical implementation of these reactive compatibilization strategies with special emphasis on reactive extrusion. The review is directly related with the main topic of the BARBARA project, revealing the original hurdles to tackle within the project. Congrats to all the coauthors for a great job together! If you are interested in reading further on this work, access the review here.